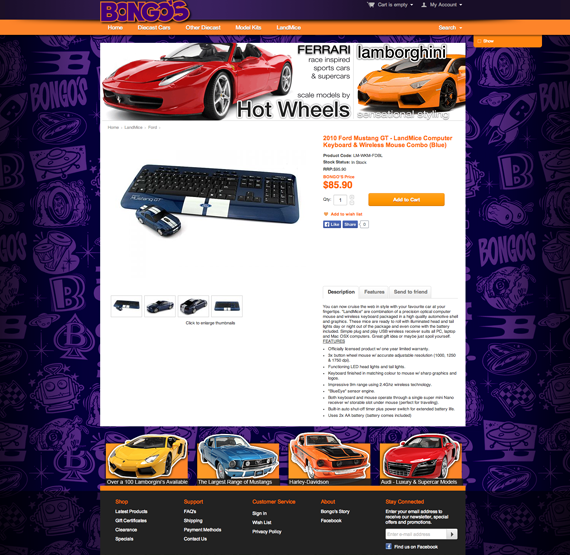 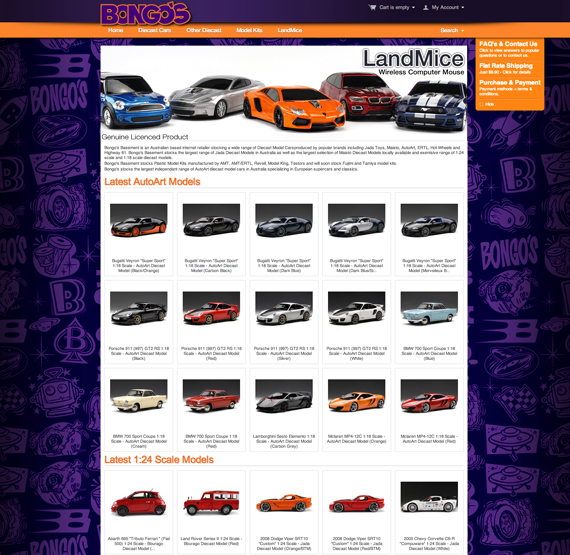 Bongo's Basement is an Australian based internet retailer stocking a wide range of Diecast Model Cars produced by popular brands including Jada Toys, Maisto, AutoArt, ERTL, Hot Wheels and Highway 61. 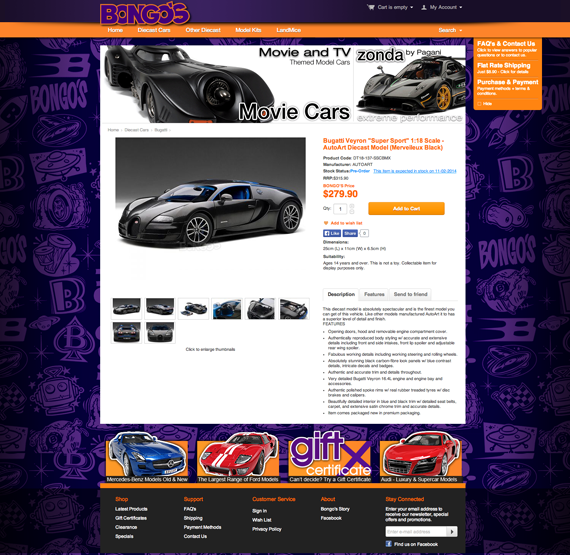 Bongo's stocks the largest independent range of AutoArt diecast model cars in Australia specialising in European supercars and classics. 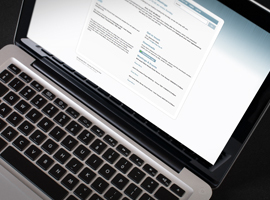 CSL Web rebuilt the website from the ground up adding increased funtionality for the client and moving the existing catalog and customer records to the new system. 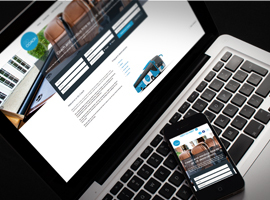 The end result delivered increased search engne optimisation and ultimately more sales.